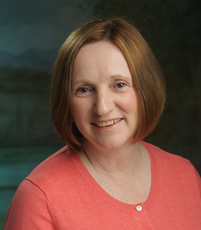 Joanne Jones is a Bellevue, WA based Licensed Marriage and Family Therapist. She has been practicing for over 20 years. She specializes in helping individuals, couples, and families with relationship issues, depression, anxiety, family of origin issues, parenting issues, and grief & loss. She also does “Family Style” Alcohol/Drug Interventions. What is unique about Joanne’s approach is that she tailors her therapy to meet the specific needs of each individual, couple, or family. She understands that every person has his or her own unique situation. Joanne and her clients will work together to determine what can be accomplished in therapy. She will help you: change what you can, learn how to accept and manage the things you cannot change, and acquire the tools needed to make effective and long lasting changes. Joanne will provide a safe environment for you to explore and discover the right path for you.